Been mucking around with some big streamers. Mike Schmidt's Meal ticket and Thomas Harvey's Trophy wife. Tying instructions I get off u tube at "Brian Wises fly fishing the ozarks" Channel. Nice ties SteveO you bringing those in August? Yep.............. These and some of their friends plan to go swinging on the Tongas in August. Very Cool Johnno, Is it one of your creations and does it have a name? 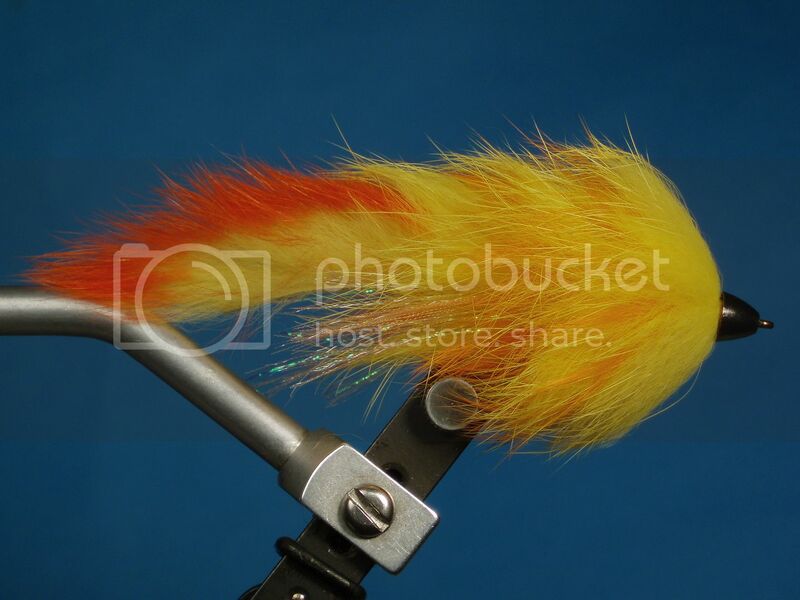 Big streamers are a thing to behold, you swing these off a single hand rod or a lightish switch rod?